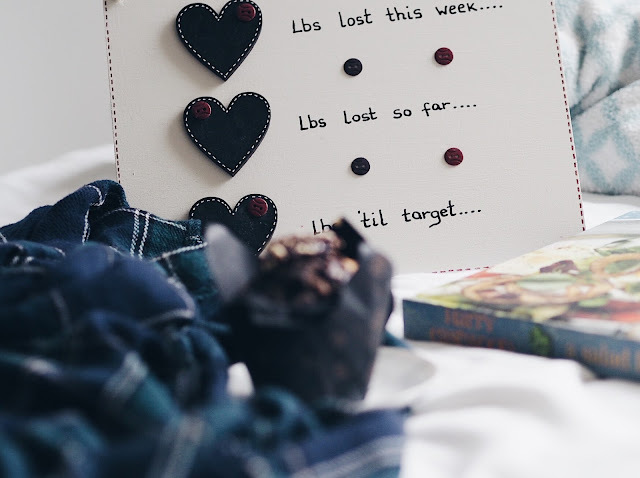 At the beginning of January I was very lucky to be treated to a trip to Berlin from my boyfriend Josh, if you haven't already read part one of my trip make sure to check that out to see what we got up to on our first few days. This is going to be a very picture heavy post, so I hope you all enjoy. We started off our third day with a trip to Berlin's Film and Television Museum in the Sony Centre at Potsdamer Platz. This visit was mostly for Josh's benefit as he is currently studying film and works within the art department of films, he really enjoyed the museum, and to be honest it was enjoyable for me too. It focused on the progression of German film makers and actors, and had lots of information and things to look at, including the first ever Academy Award (Oscar). There was also an exhibit on the German production designer Ken Adam who designed some of the earlier bond films. This was Josh's highlight of the trip as this is the career he is working in. After spending the morning at the Museum we walked over to the Reichstag Building, where German parliament is held. We had pre-booked tickets to go up to the top of the building where there is a glass dome on the roof with a great view across the city. This is free to do, however you have to register in advance and have a form of ID on you. From the top you can see out across Berlin and even though it was quite a grey day we could still see lots of the sights. We even noticed something we hadn't seen before and decided to head over and explore that area later on. Inside the glass dome there was also a timeline of the Reichstag Building which was really interesting to read, especially with it being burnt down and then rebuilt. It was also stated that Hitler never went in the Reichstag during his time in power, which I think is quite interesting. After me insisting on taking lots of selfies, we headed out just as the sun was starting to shine, giving us our first, and only, sight of sun since we'd arrived. As the Brandenburg Gate is literally seconds away from the Reichstag we headed back to get some more photos. The sun didn't last long, but it allowed me to take this photo from the back of the gate, which I think looks quite nice. My mum and her partner have a little tradition of taking jump shots in front landmarks or in interesting places when they go away, so I thought I'd join in the fun! After a quick photoshoot at the gate we stopped for a coffee and some lunch in a little cafe before heading back out, this time heading towards the Gendarmenmarkt, supposedly one of the prettiest squares in Berlin. I must admit it was very pretty, being bordered by three old buildings, it also seemed the perfect place to take some outfit photos! When reading up on the different places to explore in Berlin I'd read about a little chocolate shop that was near to the Gendarmenmarkt, being a huge chocolate lover I dragged Josh along to have a look. 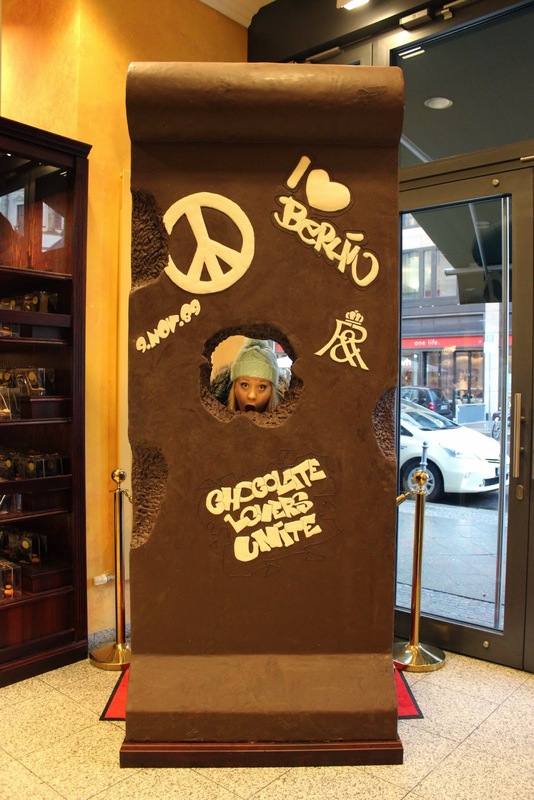 Its safe to say I was in awe of Fassbender & Rausch, the downstairs was a shop selling little chocolate Brandenburg Gates amongst other chocolate delights, and they even had a huge chocolate replica of a piece of the Wall, which you can see me posing with above. Upstairs they had a restaurant, where we both ordered a hot chocolate that was literally melted chocolate! We also decided on this chocolate pudding/cake which was like heaven. I must admit I did eat most of it as Josh isn't a huge chocolate fan (weirdo). By the time we'd I'd finished it was getting dark outside. We decided we wanted to have a little wander around before finding somewhere for dinner. It was lovely just to walk around at night together checking out some of the shops and just being in Berlin. After a few hours we decided to find ourselves a restaurant, we'd made the decision to try some 'authentic' German food so we set out on the hunt. Eventually we stumbled upon a row of restaurants that were set up in the arches of a railway bridge, this meant the inside was really interesting with curved ceilings and tiled walls, you can even hear the rumbles of trains going overhead. After trying some German beer, including a flavoured one that had been recommended by Josh's mum, and giving German food a go with a Currywurst and a Schnitzel we felt very full and headed back to the hotel feeling tired after another long day. As the next day was our last full day in Berlin we had a few more things we wanted to tick of our list. The first being the Berlin Wall. We'd seen little bits here and there but we headed over to the East Side Gallery where a large section of the wall has been preserved and artists have painted on it, along with some graffiti. Seeing the wall at the East Side Gallery is definitely something I'd recommend, even though it was horrible and rainy we really enjoyed walking along taking in all the different art, some of which is pretty famous including the one of the two men kissing. The piece that stood out to me the most was definitely the Curriculum Vitae where a rose was drawn for each person who died trying to cross the wall each year from it's creation in 1961 to its fall in 1989. Despite the horrible weather we decided to walk from the East Side Gallery back towards to centre of the city which took some time but was nice to see a bit of the less touristy areas. 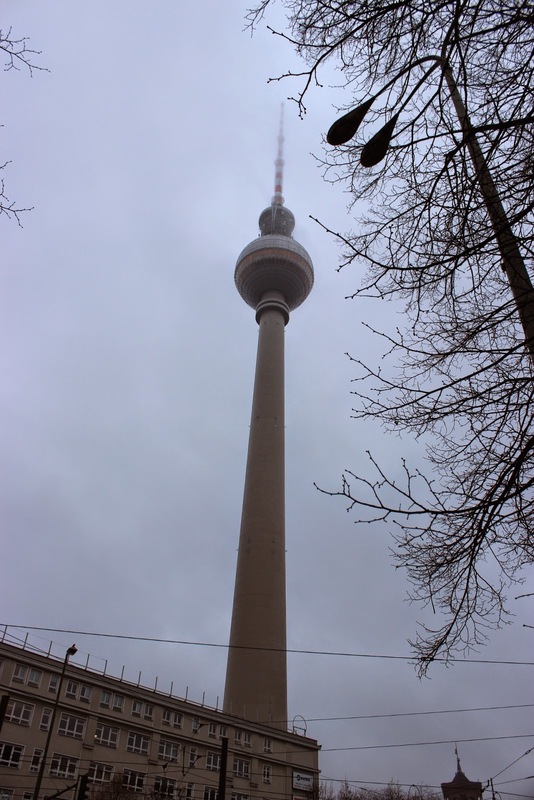 Something you can see from most areas in Berlin is the Fernsehtrum TV Tower and we found ourselves basically underneath it, you can actually go up to the top but as the weather was pretty grey and cloudy most days we didn't see the point. After taking a few photos next to the river, including my beautiful shot of this pigeon, we deicided to make our way back to the hotel, via the shops of course, where I picked up a few bits and bobs. After my final bath of the trip we got ready to head out for dinner. As the weather was pretty disgusting we wanted to stay close to the hotel so we figured we'd head back to The Hard Rock Cafe as we'd both loved the food, and I also wanted to check out the cocktail list! Which I can safely say, was awesome! Our flight home the next morning was good, other than some slight delays and both of us being incredibly tired. We had a lovely time in Berlin and it's definitely a city I would revisit, theres so much history and things to do. It's also quite a quiet capital city in comparison to London or Paris for example which was really nice and a lot less stressful. 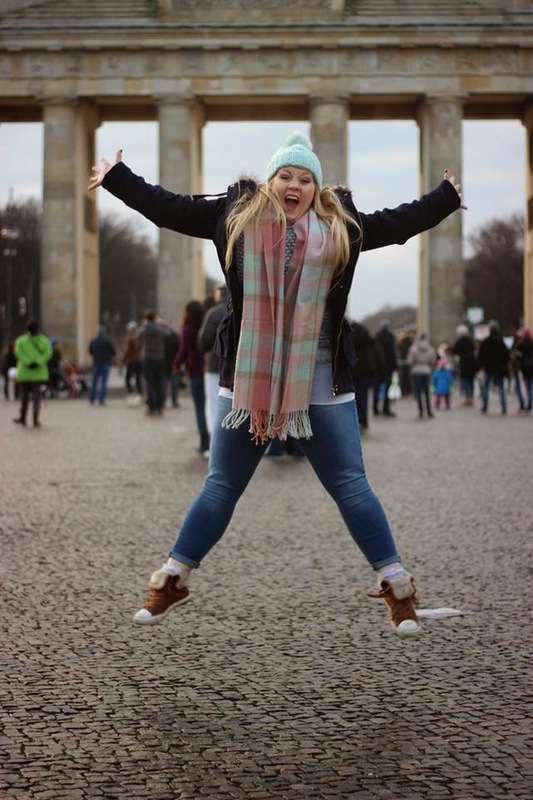 I hope you enjoyed reading about my trip to Berlin, let me know if you've ever been or if you're heading off to anywhere exciting soon! Berlin looks lovely! Especially that chocolate shop. Ugh I can't wait to visit Berlin.It looks so pretty! your hat is too cute!! !